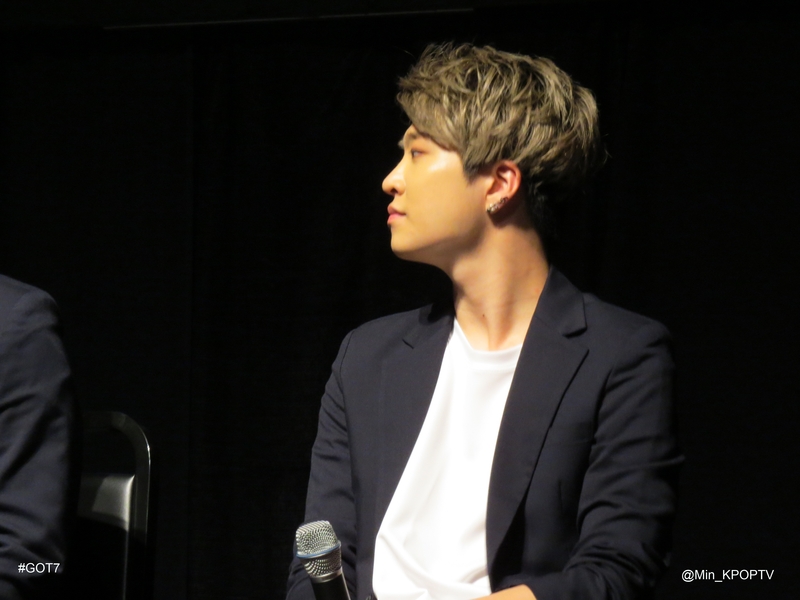 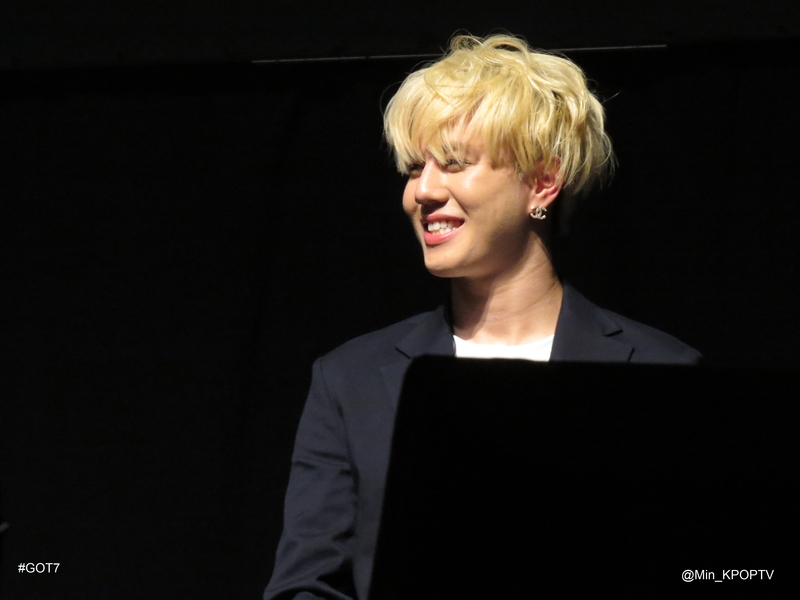 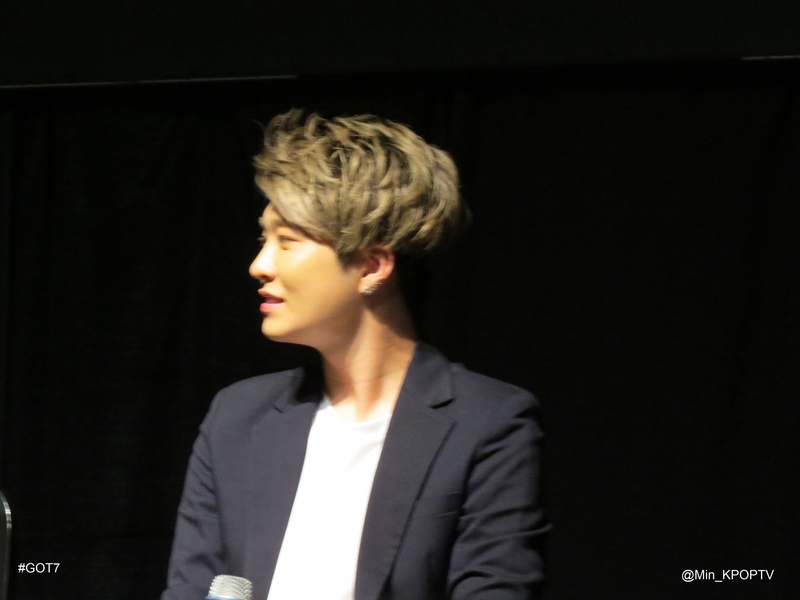 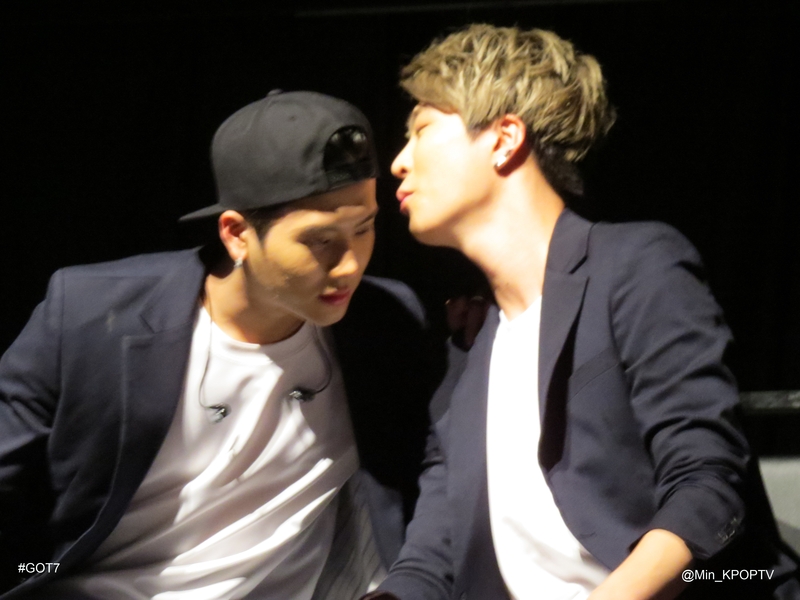 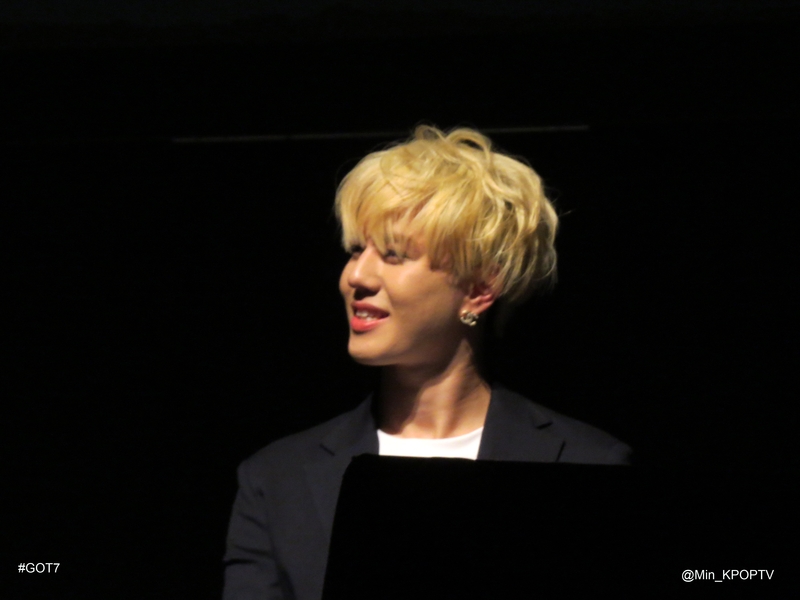 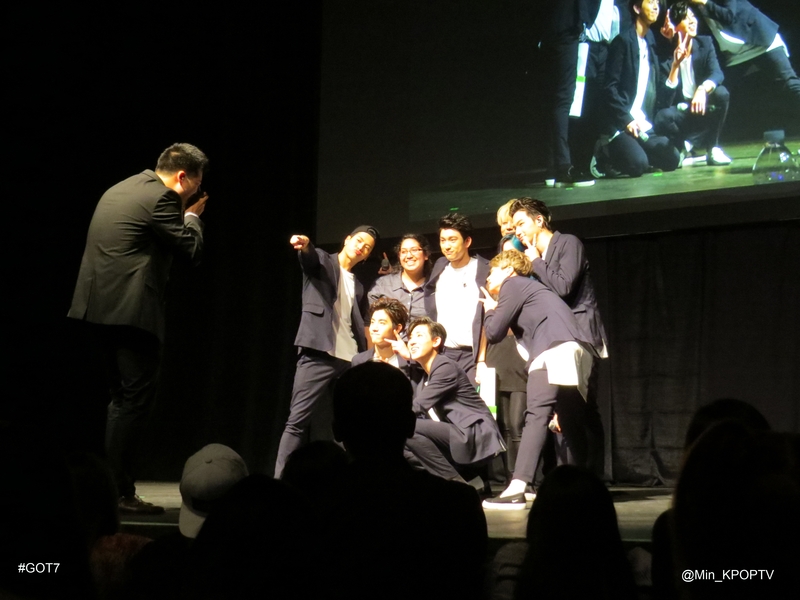 GOT7’s First Fan Meeting in USA 2015 @ SF’s The Warfield. 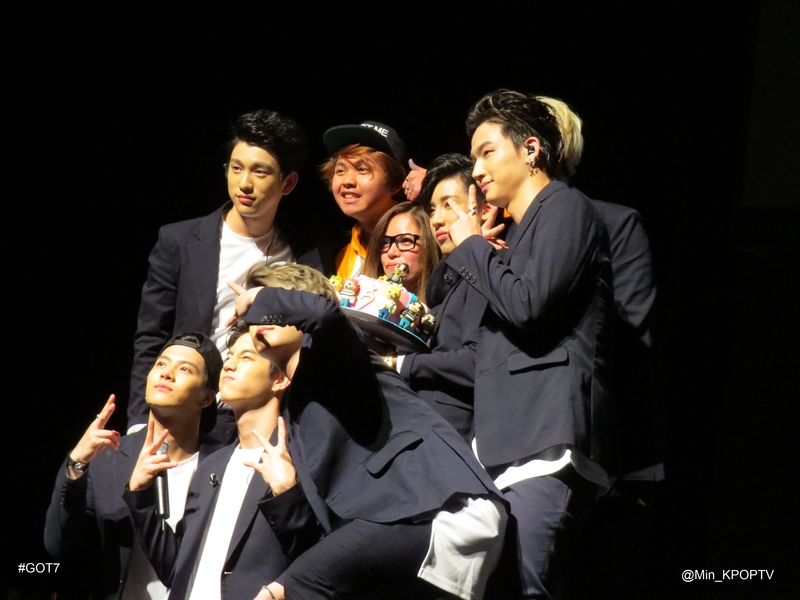 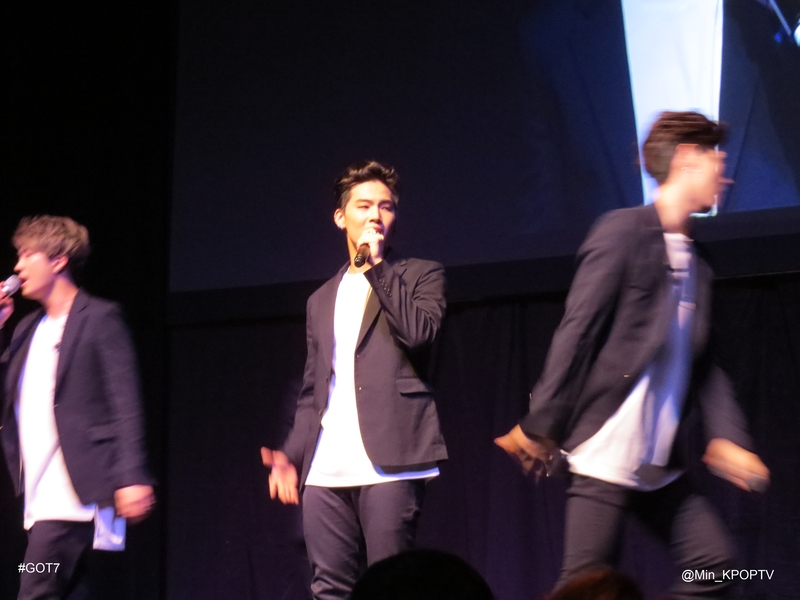 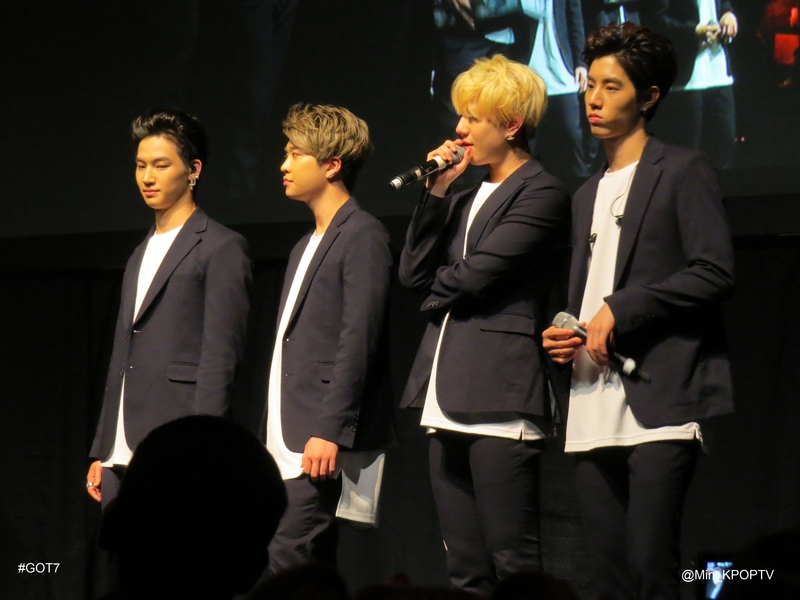 GOT7 kicks off First Fan Meeting in USA 2015 at San Francisco’s The Warfield on Wednesday, May 6, 2015. 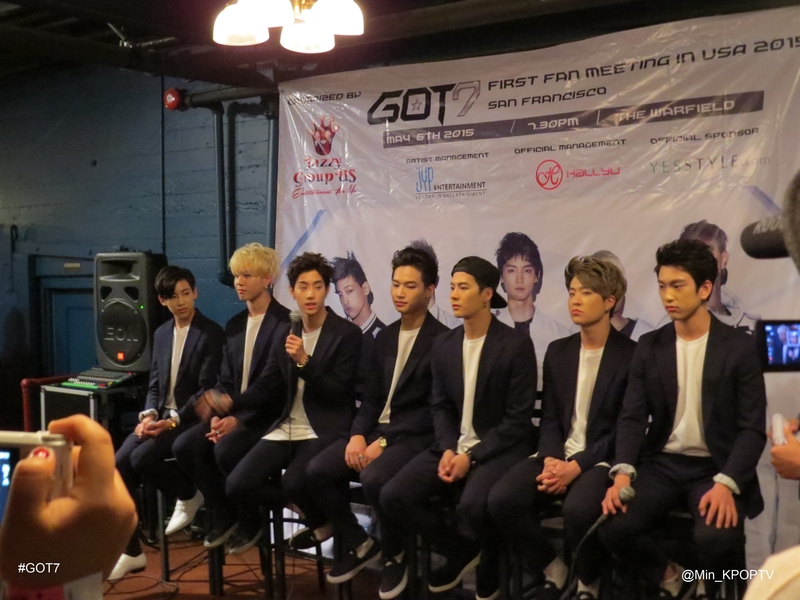 During the press conference, GOT7 members say thank you to all the support and love that they are receiving and how they enjoy the opportunity to finally meet US fans. 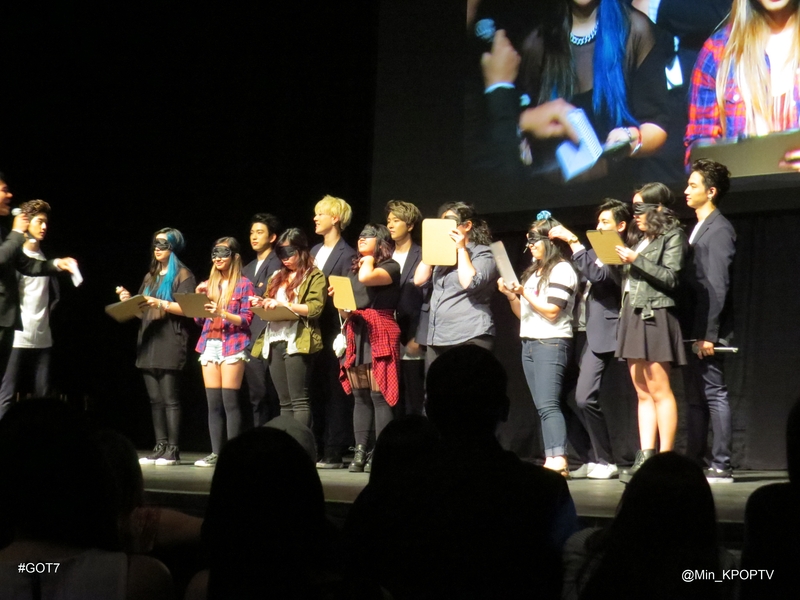 The members also note the differences between US and Asia Fans. 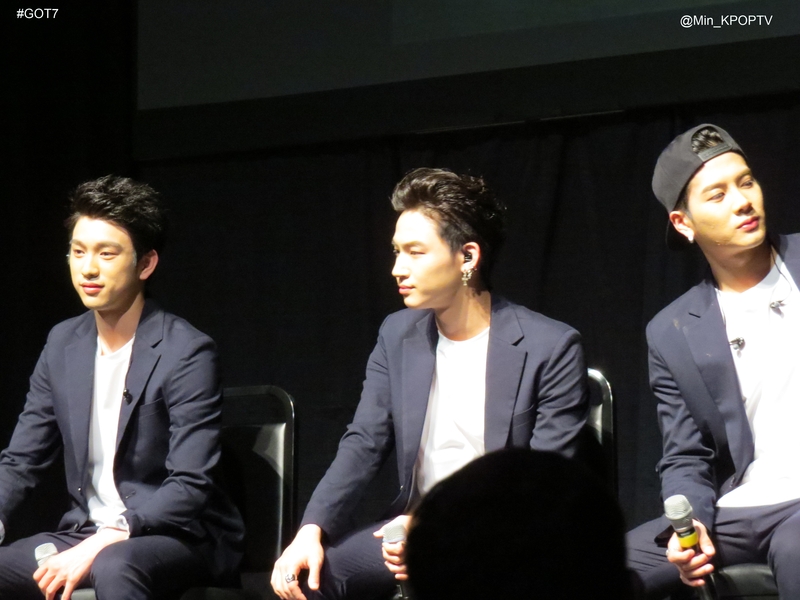 “Asia Fans tend to be more touchy, while US Fans tend to keep a distance”, says the members while also expressing their love of In-and-Out burgers in the bay area. 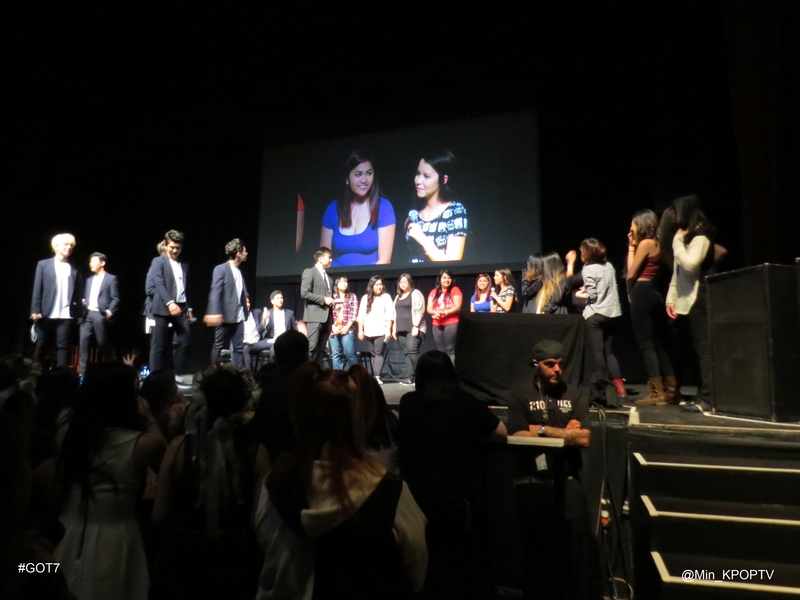 Hundreds of fans gather together for this rare opportunity to see their favorite K-POP bias. 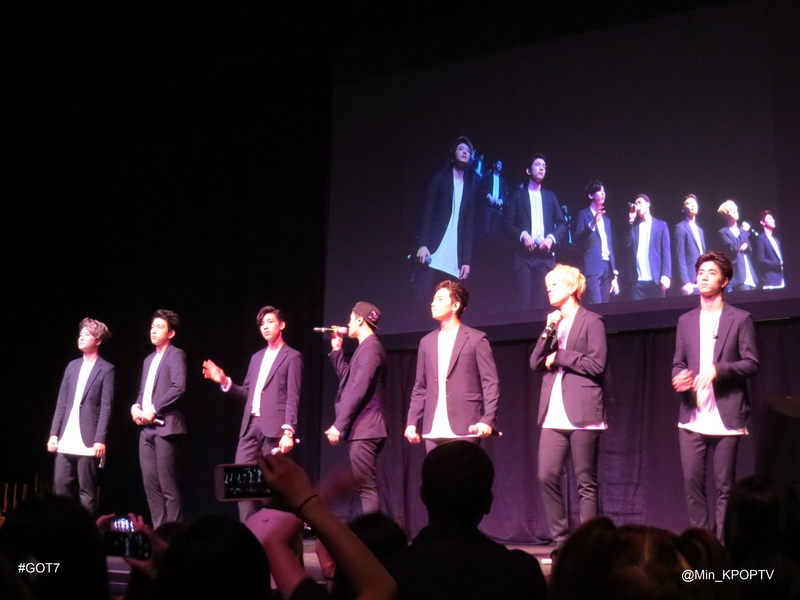 During the showcase performance, GOT7 performs multiple songs, including their hit singles “A” and “Girls Girls Girls”. 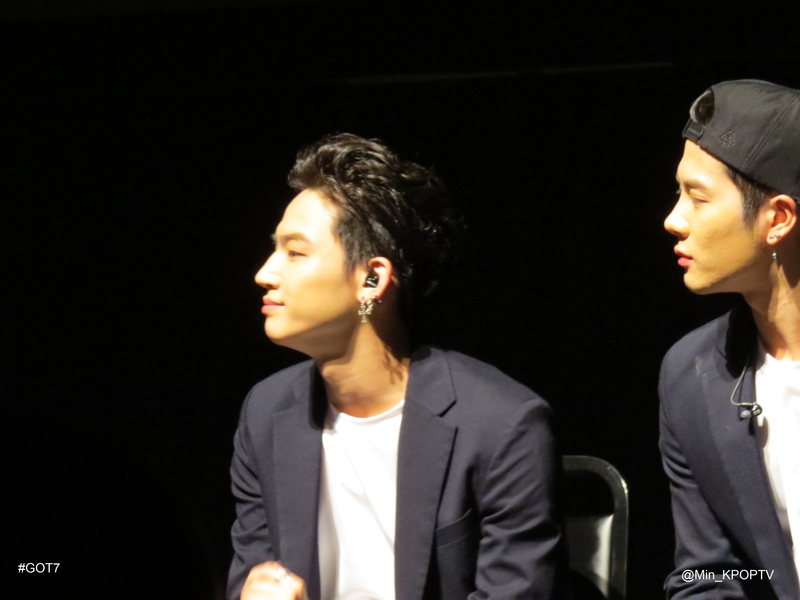 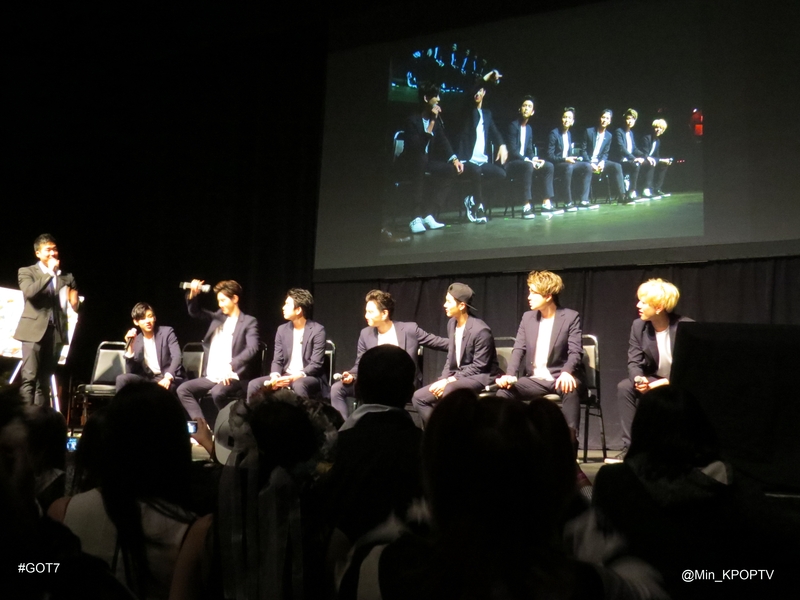 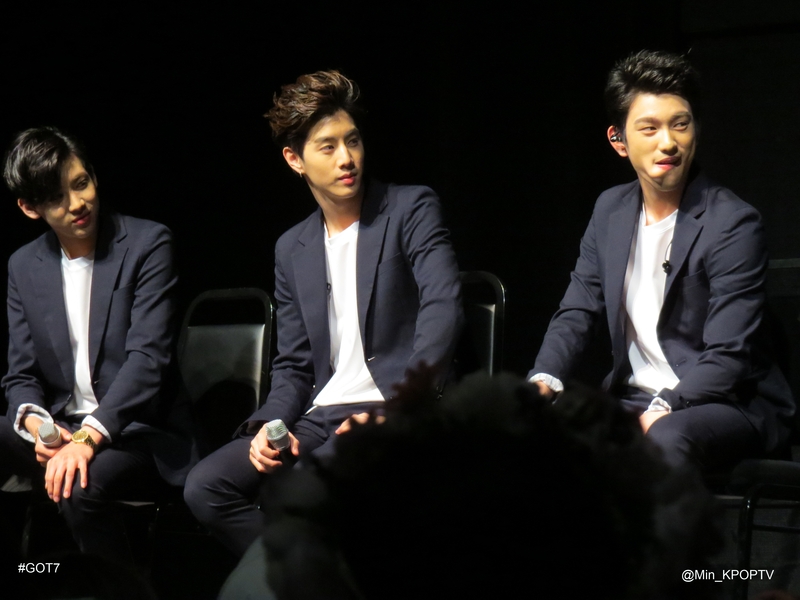 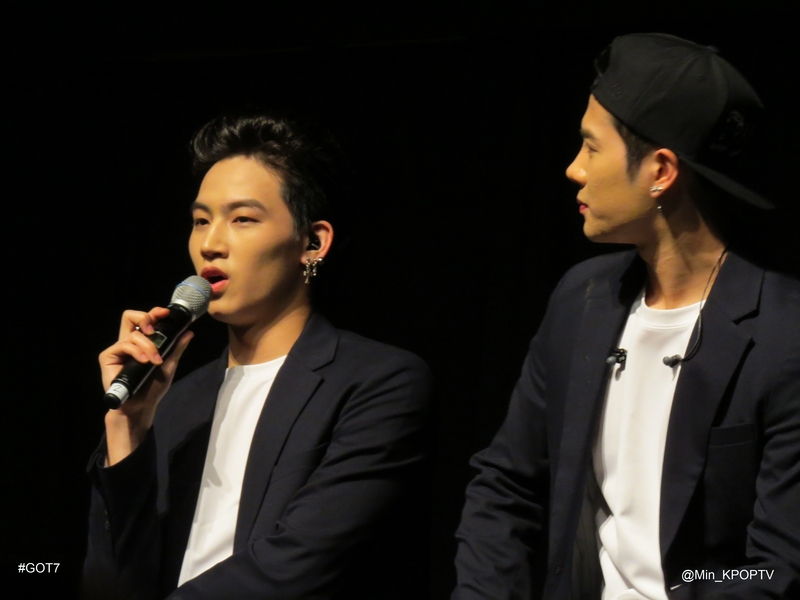 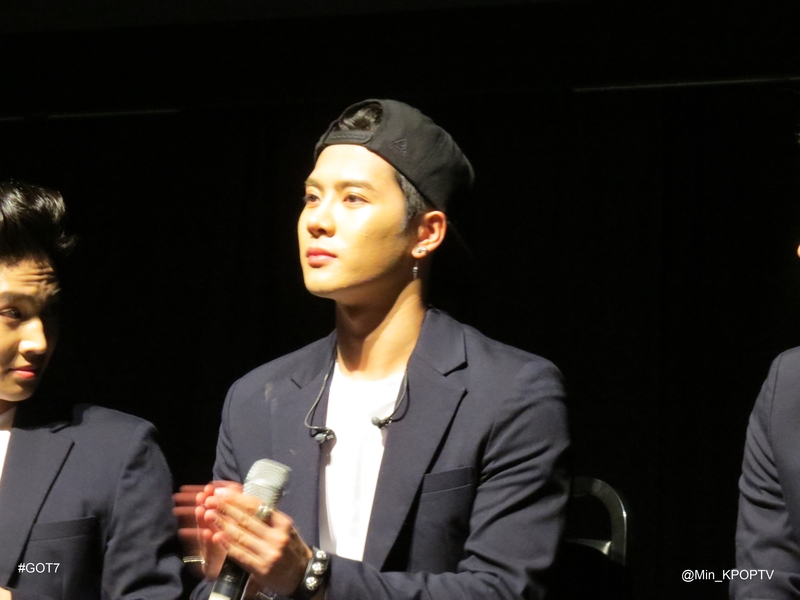 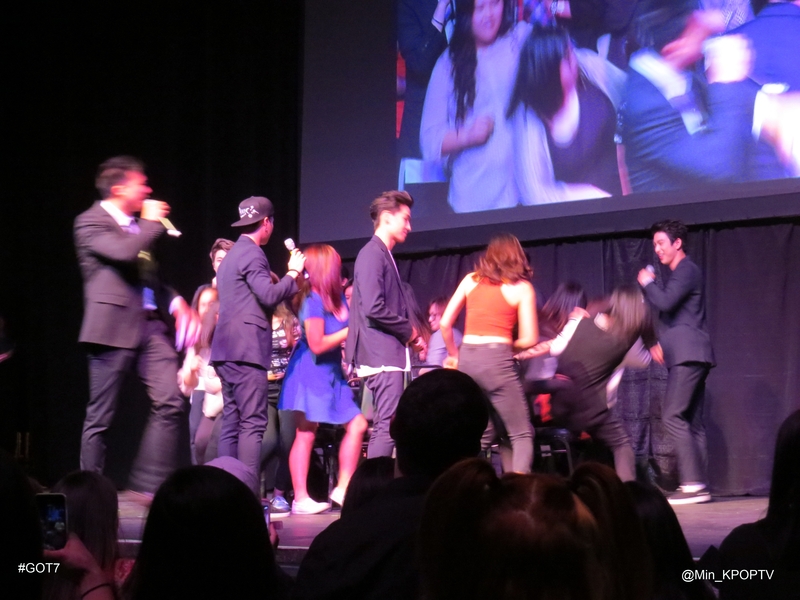 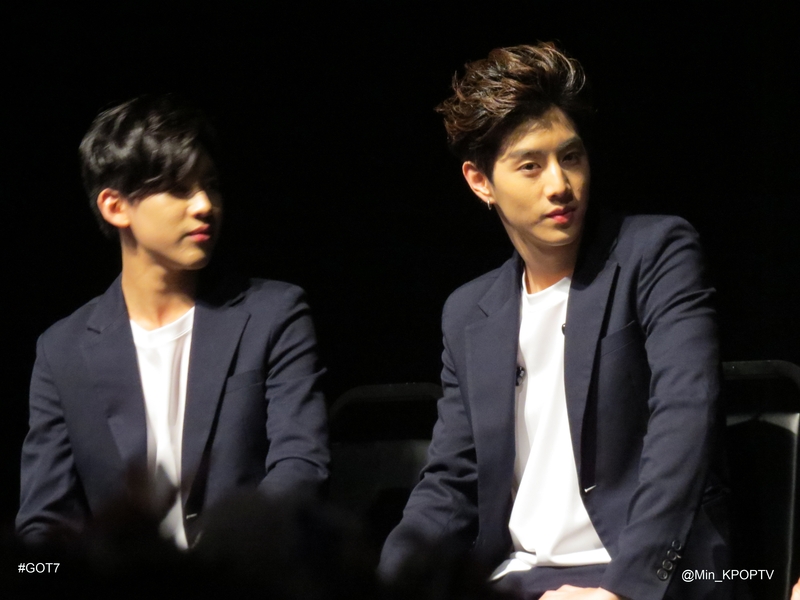 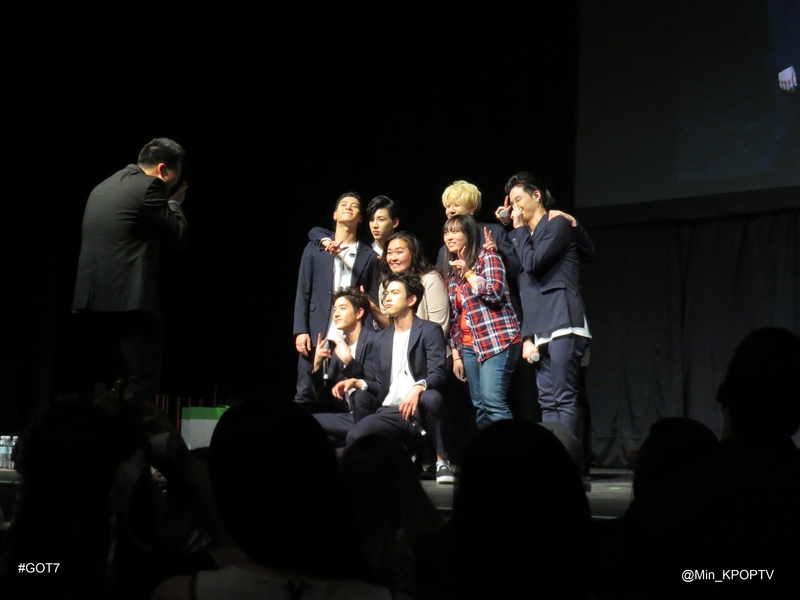 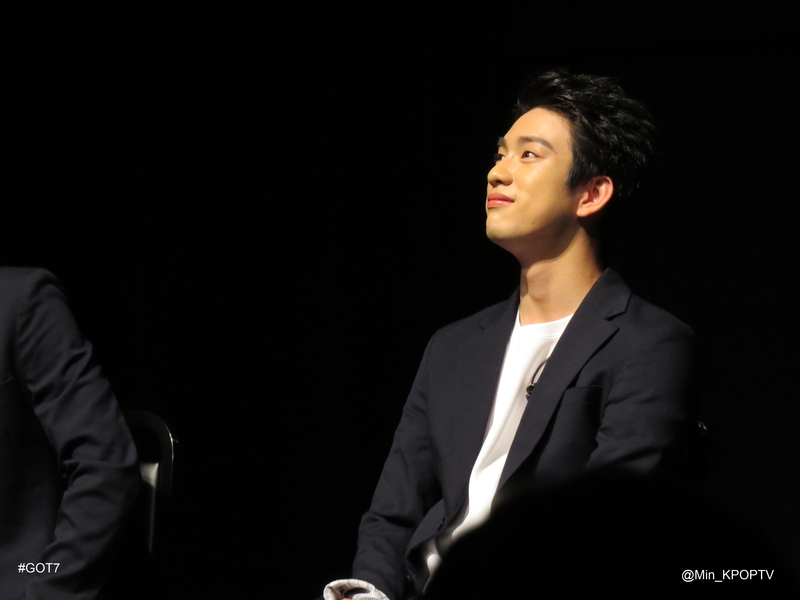 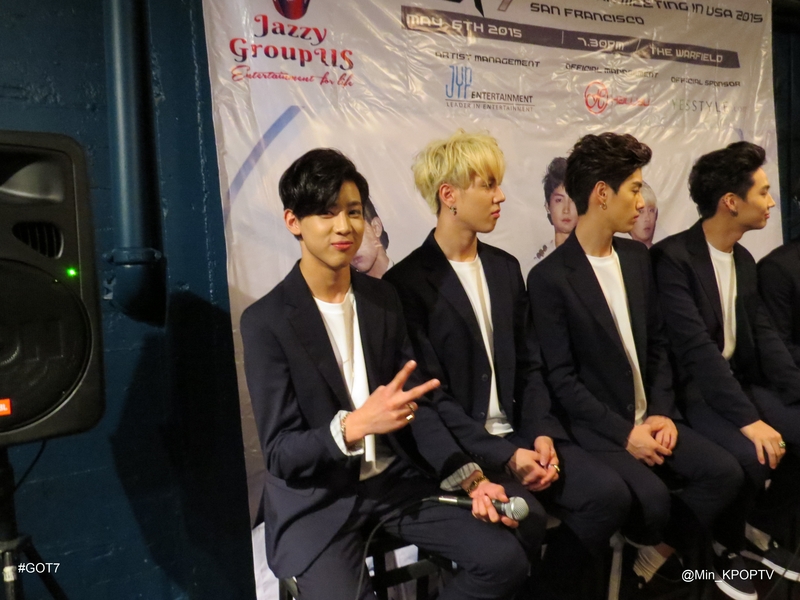 GOT7 members also interact with fans with a Q&A session, a game of musical chairs, and more. 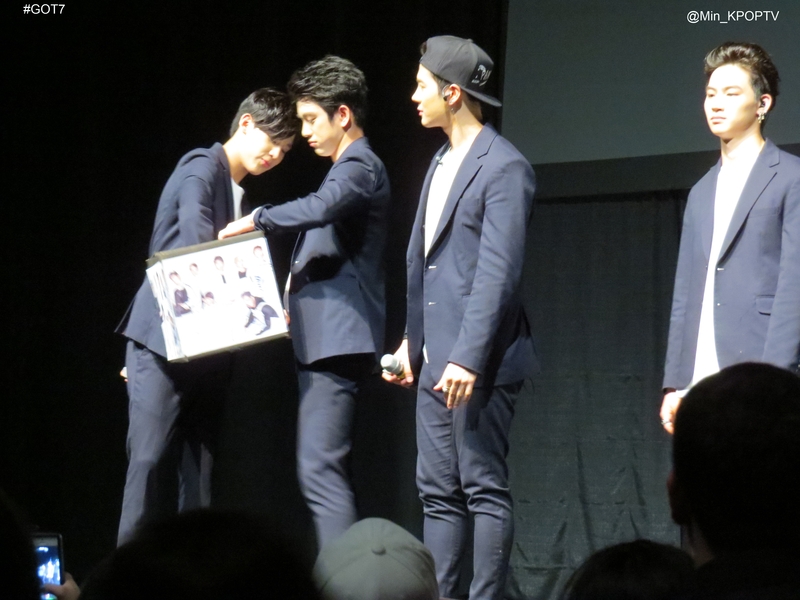 Fans surprise GOT7 member Bambam with a birthday cake while Jackson teases that Bambam’s birthday has passed on May 2. 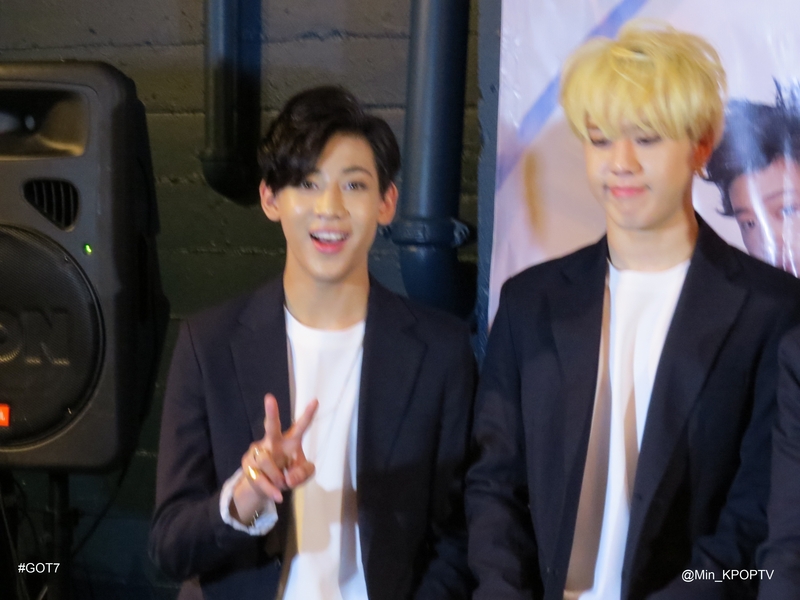 Bambam ignores Jackson and expresses great appreciation for the fans’ thoughtfulness. 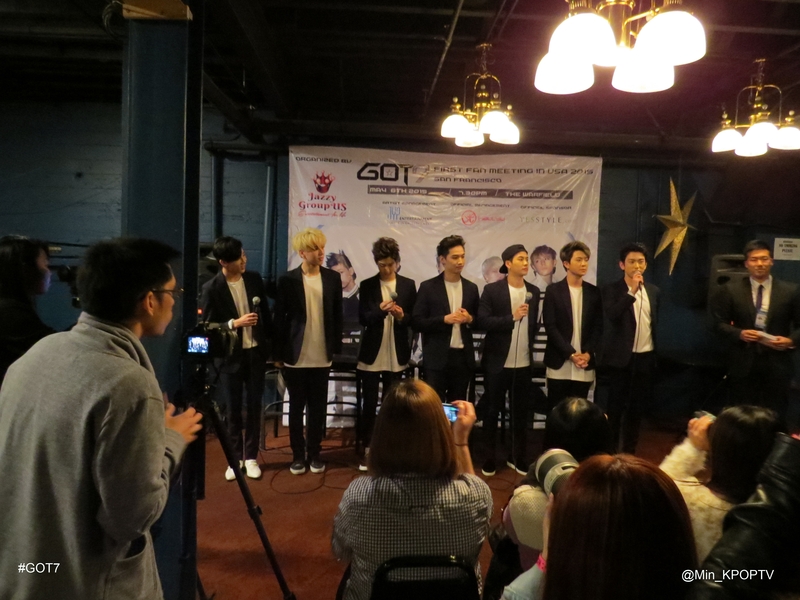 GOT7 will be continuing their fan meeting in the US from San Francisco to Chicago and Dallas.